It has been way too long since I made homemade nut milk. And yes, I realize how odd that entire sentence sounds. I would really appreciate it if someone could come up with a less-awkward word to describe this stuff. And no, I won’t even mention nut milk bags. I won’t go there. But yeah, they exist. Seriously though, this is only the second time that I have ever made nut milk from scratch. I’ll admit, I’m sort of a traditionalist when it comes to milk. I prefer regular cow’s milk over anything else, and I can’t seem to get past that no matter how hard I try. 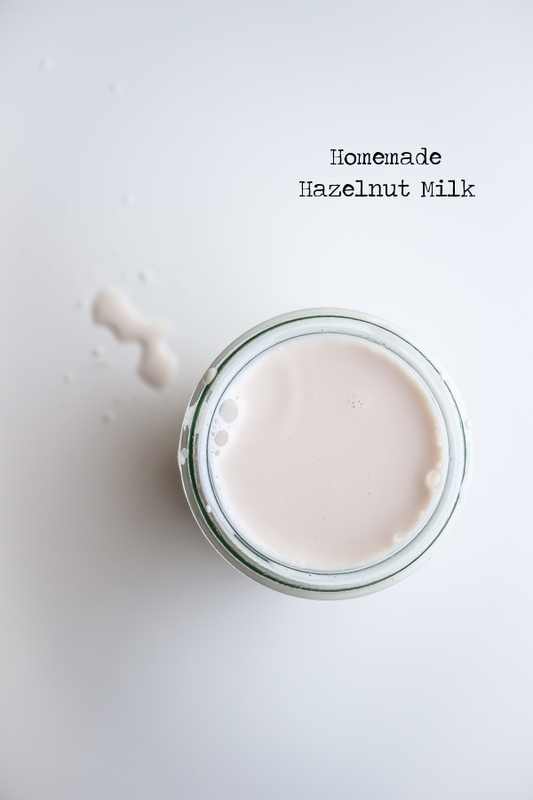 But I was inspired to make hazelnut milk after discovering this article, and was pleasantly surprised by the results. Hazelnut milk is creamy and rich, and has a lot of body. Plus, it doesn’t have that bitterness that I tend to associate with regular almond milk or other nut milks. It was good enough to drink cold out of a glass. Since hazelnuts are expensive, this is more of a special occasion nut milk (SONM) than anything else, but don’t let that stop you. 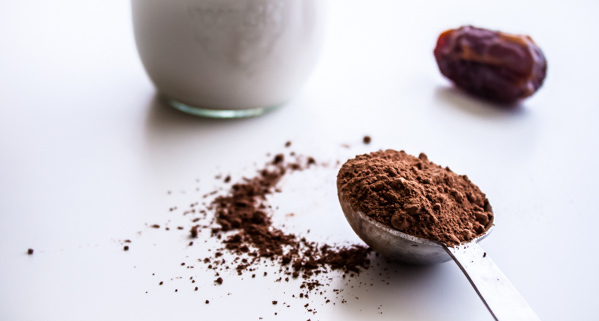 Add some cocoa powder and medjool dates, and you can whip up delicious chocolate hazelnut milk in a no time at all! I haven’t experimented just yet, but I also think it would be excellent in baked goods (see the recipe notes for additional tips for the leftover hazelnut pulp!). Place the hazelnuts in a bowl or blender container. Add the water, and allow the hazelnuts to soak in the refrigerator, covered, for at least 8 hours, or overnight. Once the hazelnuts have soaked overnight, place in the blender and add the vanilla extract. Cover with lid and blend until consistently white in color and hazelnut is finely blended and ground. Place a sieve (lined with a coffee filter), cheesecloth (secure with rubber band), or nut bag over a container of your choosing, and strain the hazelnut milk and separate the hazelnut pulp. Go slowly—you may need to do this step in batches depending on the size of the container and sieve. If you are using a coffee filter, this step could take as long as 30 minutes or longer. 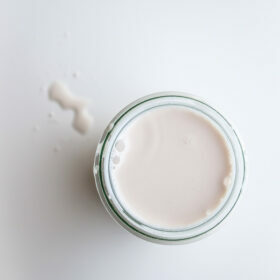 Chill and store the hazelnut milk in a covered container in the fridge for up to 2-3 days (shake before using). 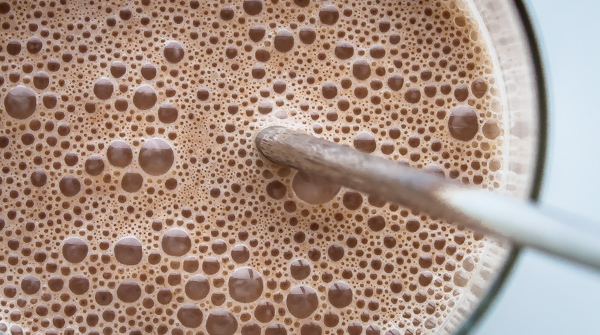 Place cold hazelnut milk, cocoa powder, and the date in a blender and puree until very smooth. Serve immediately. 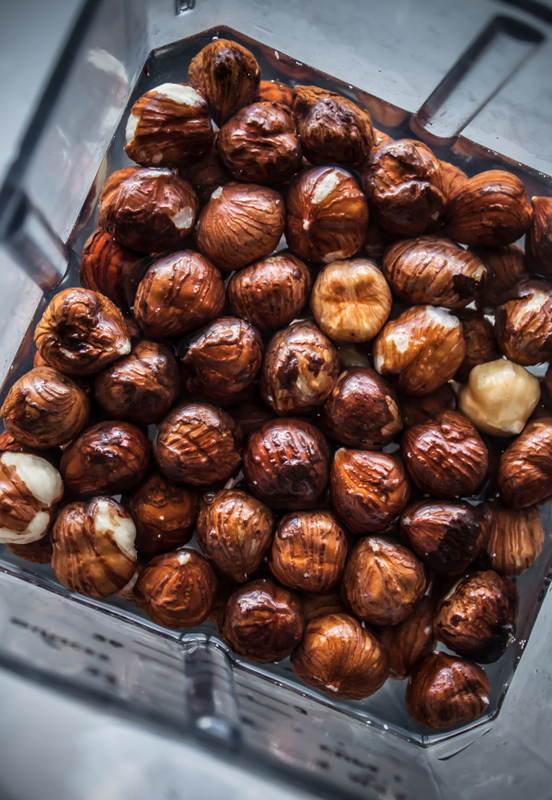 Leftover hazelnut pulp can be dried in a dehydrator, or used in baked applications or added to smoothies.